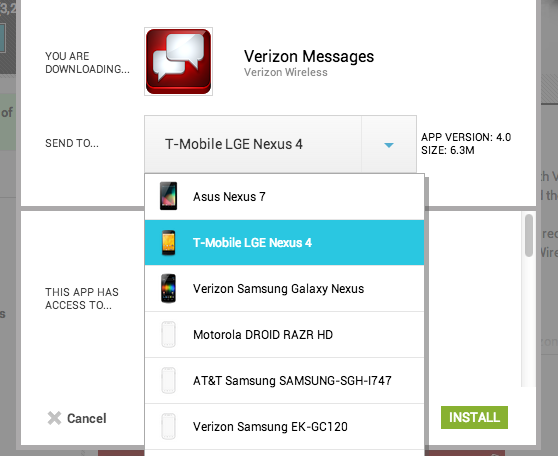 Yesterday, Verizon announced version 4.0 of their Verizon Messages app, bringing with it cross-device syncing for those who want access to their text messages from anywhere at anytime. Now, I’ve got to admit that we fully ignored this announcement yesterday since almost all of the Verizon released services have never been something to brag to your friends about. But with this app, we received a surprising number of mentions from readers who had nothing but good things to say about it. So, let’s talk about it. 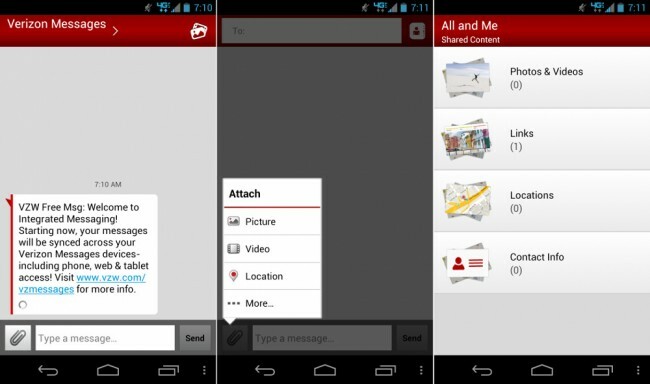 In the new Verizon Messages, you can login from a phone, tablet, or through the web and see the last 90 days of messages that were received by your account. You can reply, add attachments, and pick up where you left off from a previous conversation on a separate device without hiccup. The app also allows you to sort content by those which contain links, locations, contact info, or photos and video. I do need to point out that while it says it supports tablets, it appears to only support Verizon tablets, not just any ol’ WiFi slab you have laying around. But hey, people seem to be excited about it, so let us know what you think.